Learning to walk in love not fear. As human beings everything we do, say and feel is driven by love or by fear. Every single day our actions and reactions are impacted by these two powerful emotions, and more often than not we aren’t even aware of it. Acting out of fear will in fact cause us further frustration, upset and unhappiness. But when we consciously choose to come from a place of love, no matter the challenge we are facing, life flows more freely. How often do we over think things and start to imagine certain negative outcomes to situations we are currently experiencing? We tend to live our lives so much in the future, in a world of what ifs, rather than choosing to remain in the present. We over analyse people’s actions, words and opinions, and often take things too personally in the process. When this happens we are sitting in the space of our fears. When I was in my early twenties I briefly dated a guy who seemed incredibly charming, charismatic, open and warm. He made me laugh and I enjoyed the time that we spent together. We would message one-another regularly and enjoyed several dates. He was very open with his feelings about me, speaking about our future together and everything seemed to be going so well. Then one day, out of the blue he just stopped contacting me. No explanation, no reasoning, just no more contact. If I messaged him, his replies were brief, almost cold and there was always some reason or another as to why he couldn’t meet up. The whole experience left me feeling incredibly confused, unhappy and in truth quite hurt. Because of this unconsciously and without wanting to, I stepped in to a place of fear. I started feeling unworthy of his attention and affection, and my mind would run away with me regarding all the reasons why he had obviously made a choice to simply avoid me. Maybe I wasn’t pretty enough, or funny enough? Or maybe he had met someone who he found intellectually more stimulating, or attractive? Wrongly, I wholeheartedly viewed his actions as a direct reflection of me as a person, when in fact his actions were a direct reflection of him. A few days after the last message I sent, one that he simply ignored, I began to acknowledge that I was allowing the whole situation to have a significant negative impact on my thoughts and also my life. I wasn’t sleeping well and I was emotionally exhausted. So one morning, after my yoga practice I chose to consciously step into a place of complete acceptance and peace. I invited myself to bring all of my mindfulness practice into play and began to view the whole experience with a more open heart. As soon as I did this, I allowed myself to look at the situation with a greater sense of softness and deeper understanding. Over time the shift in my thought processes slowly enabled my feelings to change. I transitioned from a place of fear into a place of love. Rather than judging my friend for acting in a way that I had initially viewed as insensitive and unkind, I began to accept that he was probably just acting in the only manner he felt he was able to at that time. For whatever reason he wasn’t comfortable enough to just be open and honest with the whole situation, and he certainly wasn’t able to be honest with me. Initially I had judged him for not acting in a way that I would have done had I been in his shoes. I hoped that had I been in the same situation myself, I would have been honest enough to explain why I no longer wanted to see my friend. I would have considered their feelings as well as my own, and explained my reasons in the kindest and gentlest way possible. But when we begin to judge peoples actions on the way we conduct our own lives, we are in fact acting out of ego and not from a deeper sense of compassion. I chose to instead to think that maybe he hadn’t even considered how his actions could have been impacting my self-esteem or sense of happiness, or if he had, then he just didn’t know how to approach the situation with me, and that was fine. Due to his own sense of fear, a fear of my reaction or non-acceptance of his feelings it was easier for him just to blank me and hide away. And in doing so he was actually protecting himself from having to face any kind of awkward conversation, one that would no doubt be very uncomfortable for him. On reflection I realised that if I looked at everything from a higher perspective, all of this was in fact o.k. Not all of us are always able to tackle our life experiences with a sense of courage, gentleness and compassion, and not everyone is comfortable with speaking from a place of truth. I acknowledged, that deep down all I really wanted was for my friend to be happy and if that meant he would be happier without me, that was how it needed to be. The end result was still the same, and that was all that mattered to me. That night I meditated on the whole situation and I sent my friend the deepest sense of love that I possibly could muster up. Within my heart I wished for his onward path to be bright and blessed, and hoped that one day he would find the one who would make his soul shine. And then, with a deep sense of relief, I simply let it all go. Each and every one of us approach both life and it’s challenges differently, that doesn’t make any one of us better than another, it’s simply means we either view our experiences from place of love or a place of fear. When you can choose love, life becomes a little easier, a little happier and so much fuller. Love will always send you back into the truest essence of yourself, you become more understanding, more compassionate and in truth, you become more you. All of us who walk this earth, share one deep-rooted desire, the desire to be truly happy. Cultivating certain habits and patterns within our day-to-day lives, can help us experience a happier and more fulfilling life. Be Kind. Scientific studies have shown that when we focus our thoughts and actions on showing kindness to others, this actually promotes our own personal feelings of happiness. Expressing love, compassion and a genuine care for those outside of ourselves, influences the release of oxytocin, a hormone that is important in social bonding. Small acts of kindness are really easy to include into your day-to-day life. Why not pop a card in the post to a friend to simply make them smile, buy a colleague a coffee on route to work, or knock on an elderly neighbours door and offer to pop to the shops for them. Little acts of kindness really do go a long way, whilst helping to boost our happy hormones. Build good relationships, and then nurture them. It is so easy to take friendships and relationships for granted, but when we remind ourselves to focus on who is important in our lives, and then make a conscious effort to make time and effort for those people, this builds solid foundations for long-lasting, fulfilling and happy connections. Balance and Rest. Take time to honour your physical and emotional self. We lead busy lives, keeping a job, running a household, looking after the family, these are just a few of the things that occupy our time and our energies. Take time out to rest and recharge. When we are tired, stressed and choose to forget that our body and mind needs good quality sleep and rest to function properly, feelings of frustration and unhappiness can arise. Be grateful. Gratitude is associated with optimism and it has been determined that grateful people are happier, receive more social support, are less stressed, and are less depressed. Recent research indicates that optimists and pessimists approach problems differently, and their ability to cope successfully with adversity differs as a result. Gratitude can be found in the smallest things, all it takes is for the mind to be trained to acknowledge the little things we are grateful for, even during times of frustration or discontent. Forgive. Harbouring feelings of bitterness, resentment, jealousy or betrayal only inhibits our own happiness, and does not serve us well. Learning to let go and move on from such emotions can increase our sense of personal worth and happiness considerably. At some point in our lives we have all felt we have been wronged by another, but acknowledging that these are simply feelings we need to process, experience and then grow from, can help us put perspective on such situations and move on more quickly from. Acknowledging you are in control of your own happiness. This is one of the most profound lessons I learned from my own spiritual tutor. Learning to acknowledge that I was in fact the one and only, soul person in control of my own inner happiness, was one of the most empowering lessons of my life. When we learn to accept, that no matter what life throws at us, we have the option of choosing to be happy or choosing to be unhappy. We can choose to let the actions of others or challenges control our own personal happiness, or we can choose to view those situations and people as moments of great teachings and wisdom, and subsequently learn and grown from them. Of course, sometimes this can seem to be easier said then done. And remember, everyone is on a different and very personal journey. What may be easy for one person to do, can seem almost impossible for another. But if we at least try to remind ourselves in times of frustration or sadness, that we have a choice to be bitter for having a particular experience, or we can be grateful for the life lesson gained. Just simply knowing we have that choice, may in fact help us to choose to grow from that experience, and in time, who knows, it could even provide us with a life lesson that will enable to help someone else in the future. A new year always brings hope of making small or even bigger changes in our lives, maybe changes we have been thinking about for some time, but haven’t had the energy or courage to really focus on during the months that have passed. We may be longing for a new job, or a new relationship, maybe we truly wish to have more quality time with our partners or family. It could be we want to get fitter, lose weight, or just simply take a little more care of ourselves. For many, change can be scary or unsettling, dipping ones toes into the unknown can throw us out of our comfort zone and even fill us with fear. For others change is seen as an exciting adventure, something to embrace and actually trust in. Many of us are in fact creatures of habit, and although we long for areas of change in our lives, we stick with something we may not necessarily be happy with, simply because it has become our routine, an existence that we have actually accepted as being part of our life, it’s just the way it is. Write a positive change list – At the beginning of each year, I actually like to take a moment to reflect on the year just gone, as well as creating a moment of positive focus on the year ahead. During a period of ‘quiet time’, I’ll put on some beautiful music, light some candles and simply meditate. This helps me become grounded, calm and peaceful, a beautiful and perfect state to be in, when you wish to make positive change within your life. After which, I will sit down and write a list of all the life changes I wish to make during the next 12 months ahead. Writing them down, for me, re-enforces not only my desire to make those things happen, but also helps me truly focus on the things that really matter. 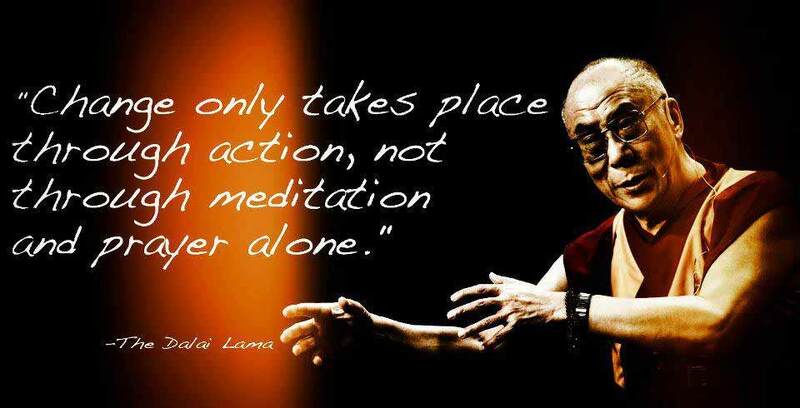 Take positive action, small steps at a time – Two years ago I saw the Dalai Lama speak in London, it was one of the most humbling and inspiring experiences of my life. During his talk he spoke of how change can only come through positive action. Manifesting the changes we wish to see within ourselves, our lives or the world in which we live, can only come through each and everyone of us taking sole responsibility for those changes to occur. We cannot rely on areas of our lives to alter, if we simply think our desire, or our deep longing for something to happen, will in fact, make it happen. If you truly wish for change to occur in some area of your life, then you alone, need to find the courage to start acting upon that wish and take full responsibility for that change. Face your fears and let go – Sometimes, inviting change into our life, actually means facing our fears. We may be too scared to leave a job we really hate, because we are fearful of not being able to find another one or pay our bills. We may be frightened to leave a unhealthy relationship behind us, as we are deeply fearful of being alone. So instead we choose to live in a bubble of happiness, because it’s easier to give in to our fears, fears that we have in fact created for ourselves inside our own little heads. What we have to acknowledge is, that in certain situations, the life we are actually hoping for, actually exists outside the edge of our comfort zone, and unless we have the courage to leap into the unknown, we become a victim of our own fears and subsequent unhappiness. Imagine the happiness you wish to experience and feel it deep within your soul – I strongly believe that our own thoughts and actions have a huge affect on life that we experience. The sacred law of karmic return, or the law of cause and effect. If one is mindful of every thought and action one has, as well as keeping a positive mindset surrounding the type of life one wishes to experience, then one is actually inviting this type of experience into their own reality. This doesn’t mean to say, you won’t experience challenges, disappointment or sadness in your life, these things are always present to teach us, but keeping your mind focused on love, positivity and kindness, actually re-enforces the love, positivity and kindness that you will in turn experience within your own world. Positive thought creates positive action. Share the changes you wish to create – Sitting down with friends or family and sharing details of the changes we wish to create in our lives can actually help us keep focused on the task ahead. It can also provide an unexpected support network of people, all of whom wish to encourage you to reach your goals. A few years ago I was really unhappy in my job, and I was desperate for a change. I was so unhappy, that every morning was literally filled with dread about the day ahead. It was a well paid and very secure job, one that I had been in for 13 years, and the thought of leaving actually filled me with fear and anxiety, but I was knew it was beginning to impact other areas of my life. Once I had told my friends how unhappy I was, I was overwhelmed by the support and encouragement I received. It felt as though I was no longer facing the dilemma alone, and I eventually found the courage to leave and search for a much happier existence. Don’t Give Up – Change generally doesn’t happen over night, often it’s something that we have to continue to strive for. Even when the light may seem a very distant glimmer at the end of a long tunnel, don’t lose focus of that feeling of happiness you know you deserve. Re-visit the list of positive change you wrote. Go into meditation and ask yourself for guidance of how to can implement these changes. Spend some quality time with a positive person that you may know, someone who will inspire you to reconnect with your own desire to make the change at hand. Trust in yourself that you can succeed and remind yourself that it will happen when you have learned everything you need to from the experience. Don’t hide behind excuses you create within your own mind, take complete responsibility – When we are anxious of making a change in our life, it’s very easy to hide behind excuses of why we believe we cannot change that situation. Instead of creating excuses of why you can’t do something, start to focus your attention of creating solutions to those challenges. An excuse, is often manifested in our heads as a direct result of an emotion, an emotion which is usually fear. Trust in the fact that sometimes the journey is the lesson, not the change itself – Looking back at my own career change, it was, without a doubt, a very long, difficult and exceptionally challenging path (I wrote a post about it last year, as it had such an impact in my life). But on reflection, even though it was really hard at times, I can see that journey itself actually taught me a great deal about myself and my ability to let go and trust. The life lessons I learned from having the courage to truly acknowledge, that I was the only person in charge of my own happiness is a teaching I will always be grateful for. When I was a teenager, I was a real worrier. I’d often spend my Sunday evenings, working myself up into a complete frenzy about how certain situations at school would work out. My little brain would go into over drive, imagining things that hadn’t even happened. I’d convince myself I would fail the math exam coming up, or my drama presentation would be a complete flop and everyone would laugh at me. I look back now and realise that I was in fact a prisoner of my own negative thoughts. Many a Sunday evening would be clouded by my worries, and in turn cause me a lot of unnecessary stress and anxiety. A little cloud of anxiousness, created by a fear within my own head. 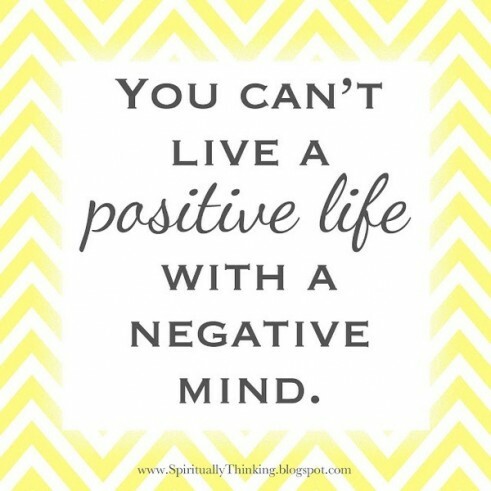 As I grew older and under went my own spiritual training, I began to accept, that if I wanted to live a positive, happy and fulfilled life, I needed to learn to control my own negative thought patterns. For I believe, like the Buddha once taught, the energetic vibrations of our thoughts, attract experiences to us and therefore we become what we think. Become truly aware of your thought patterns – There is nothing wrong with having negative thoughts, we are human, lets face it, it’s going to happen. But when it does, try to really acknowledge that thought and take time to explore it, replacing it with a positive action. For example, you are due to give a presentation at work, and you realise you are thinking that it is all going to go wrong. You are going to slip up, forget the words, not get your point across and the boss is going to hate it! As soon as you truly acknowledge that thought. Stop. Breathe and explore the that it is in fact totally pointless convincing yourself this is going to happen, as in truth, when you really look at the situation, you actually have no clue how it is going to turn out! You are simply falling into the pattern of your own negative thought process. Explore the possibility that it could in fact go marvelously well, you may deliver a presentation that everyone finds interesting and enjoyable. Your points are seen as strong and encouraging, and your boss in fact loves it! Don’t allow your negative thoughts to own you, acknowledge them, but don’t attach yourself to them. When you refuse to give them power, they will dispel on their own accord. Every time a negative thought arises write down 3 things that are positive in your life – My own spiritual tutor gave me this task when I first started teachings with her. It was a gracious way of teaching me the art of being thankful. When completed properly, every day, it really is helpful in keeping your mind focused on all that is good in your life. The trick is to think of 3 different things every time. It can be as simple as being grateful that your train was on time, you wake up and the sun is shining, you are able to enjoy a fresh sandwich and a cup of coffee at lunch time. 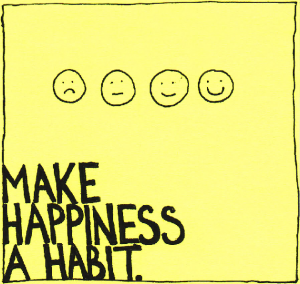 Or you can explore more meaningful reasons why you are happy. You are grateful for your loving partner, your clean bill of health, your beautiful kids or the roof over your head. The Power of Positive Mantras – During times of challenge or turmoil, I love to write mantra’s on little post it notes and I stick them around my house and office. A will say them in my mind every time I see one. For me, they act as a gentle reminder that I am in fact completely in charge of my thought process. I use sayings such as “Everything is always as it should be, I grow with every challenging experience”, “Positive thought is positive action”, “Challenges are what make life interesting, and overcoming them is what makes life meaningful” You can obviously make up your own. Be mindful of playing the victim – For some, life is a complicated journey of stresses, strains and constant challenges. For others, life is a wonderful adventure, full of exciting opportunities to grow, experience and develop. When we truly start to accept that our thoughts have a direct and powerful effect on the world around us and the experiences we face, challenges suddenly become a learning tool, rather than an opportunity to dwell in self-pity, sadness or worry. When something challenging happens, truly step back and take the opportunity to explore that experience in a completely different light. Acknowledge how the situation is making you feel, and explore how those feelings are showing you or teaching you something. I truly believe, every experience is sent to teach us something, that in itself, helps me embrace both the good and the moments that take a little more insight to accept. Create a positive vision board or personal journal – Positive thought needs to be backed up with positive action. During quiet times I like to write down in a journal what I want to achieve in my life or where I see myself in the next 12 months. This applies to personal goals, emotional well-being, career path and family life. For me, writing it down actually reinforces it my mind. I am putting out to the universe through my thoughts and actions, of where I want my life to be heading. In my office I have a vision board, on it I have pinned various photographs, magazine cuttings and sentences or words. Each give me inspiration every time I look at them, reminding me of the things that make me happy and keep me motivated. I change it every 6-12 months. Embrace the silence – In the west in general, we find it exceptionally difficult to embrace silence. To simply be present in pure wholeness, with no noise, no distractions and no interruptions that are constantly demanding our attention. To just simply sit, and be comfortable with the healing light of ‘nothingness’, is actually one of the most positive actions you can honour yourself with, every day. Stillness forces us to be comfortable with ourselves in our truest form. It enables us to be present in the moment, with everything else stripped away, things that usually pull us in every direction. Stillness, invites you to truly discover yourself, including your thought patterns and subsequent emotions. If you find silence too overwhelming to begin with, you may find your mind chattering away too much (which is fine by the way), then try listening to a short 10 minute meditation for positive thought. There are many on Youtube, or various mindfulness websites. Try and do this at least twice a day, preferably in the morning and in the evening. Learning techniques that will help you to tap into your deeper nature and explore the reasons behind your thoughts, will help you to gradually view them in a more productive light. If you have enjoyed this post you may also enjoy ’11 things to give up to step closer to happiness’. When I was 20 years of age, I worked at Scotland Yard for the Metropolitan Police. One of my first job roles was to answer 999 emergency calls. It was a fast paced, interesting and very demanding job. I loved it. After a few years of answering the 999 calls, I progressed onto the role of radio dispatcher, deploying the police emergency response vehicles to the scenes of serious incidents. It involved a great deal of training, focus, and if I am honest, in the initial stages, a lot fear. I remember, before my official training started, I had a few days of ‘live shadowing’ with a very experienced police officer. I basically spent hours listening and watching, how he directed, controlled and deployed police units all over London, sometimes to really serious and distressing incidents. Bob was a policemen in his 50’s. He was clearly passionate, kind, funny, knowledgeable and exceptionally skilled at what he did. No matter how urgent, demanding or dangerous an incident was, he always remained calm, focused, authoritative and in control. His peers in the control room, quite obviously respected him, and the units on the ground, whom he spoke to over the radio, clearly trusted his directions and support. He must have looked upon me as this young, inexperienced rookie. Naive and a somewhat clueless, yet he spoke with such enthusiasm, interest and character, I was absolutely fascinated by him. He told me stories of his early days in the job, when he had been a similar age to me, and he spoke with interest about the role he now had. Most of all, I noted how he was dignified, always speaking without ego. I can remember leaving work on the last day we had spent together, feeling completely inspired by him. One day I wanted to be like Bob. Nearly twenty years on, just this week, my spa was named in the top 10 most Inspirational Spa’s in the UK and Ireland by Professional Beauty magazine, one of the leading governing bodies for the industry. We had been voted for by other industry professionals and spa owners. On hearing the news via Twitter, I sat in my office, utterly delighted and also truly humbled. It is an incredible feeling to be told, that what you do, actually inspires others. As I reflected on the news, I also found myself remembering Bob, my own inspiration. Be true to your passion – in truth, we can all be Bob, we just need to tap into our passion and then share that passion with the world, in a way that ignites the same passion within someone else. What is it that you truly love? What is the one subject that makes the fire within your heart roar? Do you want to raise money for a charity? Do you want to inspire others to get fit, or eat more healthily? Do you simple wish to share the joy you find in your hobby, or are you passionate about others find their own talents and gifts? Whatever it is, embrace it with vigor and enthusiasm and then think about how to can share that passion with the world. Share your story openly and honestly – People like to hear stories that are spoken in truth. A few months ago I shared an honest account of how I developed my business to what it is today. I spoke of the times I have experienced periods of utter joy, but also the periods of utter desperation and despair. Inspiring people isn’t simply about sharing all your good experiences, it’s also about sharing the more difficult periods of your life. The challenges you have managed to overcome and tackled head on, no matter how hard they may have been at the time. Have a deep desire to help others progress positively – I find great pleasure in helping people overcome their own fears. Watching someone grow, by having the courage to do things they may have felt were in fact out of their reach or even impossible, proves as inspiring to me as it is for them. When you genuinely possess a desire to help others live a more positive life, magical things can happen, for you both. Remain humble and speak without ego – No matter how successful you may be, it is always wise to remember from where you once came. Take time to remember your own journey, how it was to walk up the mountain and then look back down. It is always a good way to keep your ego in check. The more you speak without ego and remain grounded, the more people will warm and relate to you. Lets face it, nobody likes a know it all. Remember your journey is a continuous one – Everyone of us will continue to grow and learn, through our experiences and challenges. A continuous learning cycle until we leave this earth plane. Inspiring others, is also about embracing your own journey through life. Remind yourself that the learning never ceases, be mindful to walk your path with an open heart and a kind mind. When you do this, you will continue to attract your own inspiration from others. And so the cycle to continues. 10 Mindful Tips On Being a Great Boss. When I first became a manager at the tender age of eighteen, I found the whole experiencing very exciting but also extremely daunting. What I lacked in life experience I certainly made up for with enthusiasm, and as I grew and improved as a person, so did my managerial skills. 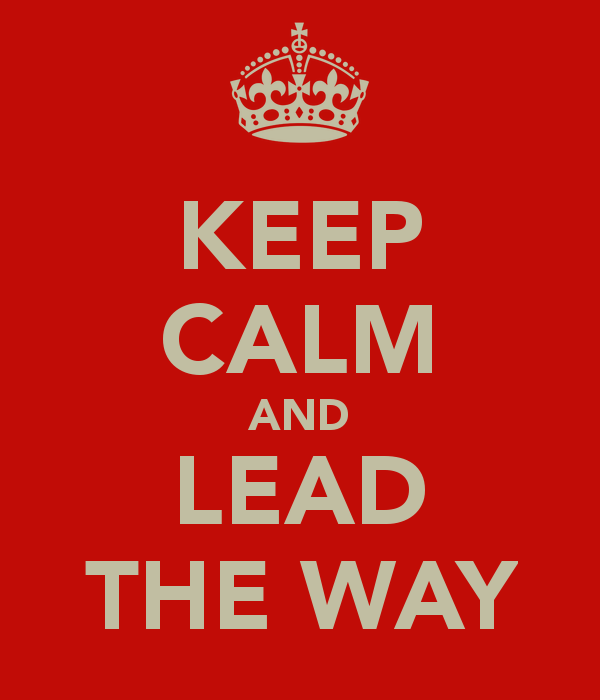 For some, leadership comes very naturally but for others it proves to be quite challenging. Over the past 20 years of being in a managerial role of some form or another,I have done some things well and others not so well. The stress of meeting targets, working very long hours, having responsibilities and managing staff with an array of different personalities, strengths and weakness, can often prove exhausting but also very exhilarating. The biggest lesson I have learned over the years, is that a good manager always continue to keep learning themselves. It doesn’t matter how many years experience you have, things will continue to be sent your way to teach you and help you hone your leadership skills even more. For me, a good leader should be knowledgeable at their skill, confident, a fantastic communicator, hardworking and above all, they should be kind, compassionate and supportive of their team. As a leader you set the example to your staff, respect should be gained through your interaction with your colleagues, not simply through the job title you hold. Always be mindful of the fact that being skilled and knowledgeable at your trade, doesn’t automatically make you a good manager – I am very lucky in the fact that in my job role I get invited into other people’s beauty businesses, to asses and offer advice on how to improve the business’s performance as a whole. One of the first things I always do is assess how strong a manager the business owner is. In our careers we have all been managed by some good leaders, one’s that have inspired us and made us want to work harder simply through our respect for them. And then there have been others that we have considered to be weak leaders, or aggressive and domineering, or just plan lazy and uninterested in what we do or what we have to offer. Yes, of course good managers should be good at what they do on a technical level, but managing a business or team, goes so much further than that. Once we acknowledge and accept this is an integral part of how we perform on a managerial level, we can begin to start looking honestly at our own strengths and weaknesses and see where we can improve and learn from them. Acknowledge the fact your business is as much about your staff as it is about you – The more we focus on helping our staff grow and develop, the more we grow and develop alongside them. It’s very easy to get bogged down with what we want to achieve in our own career path and in our own business, that sometimes we forget, as managers, part of our role is to actually help others grow and progress too. Always be truly present – it’s so easy to get distracted with all the responsibilities a managerial role entails. We have emails to answer, phone calls to take, business meetings to attend, targets to reach and clients to see. Ensure you take regular moments out throughout the day to remind yourself to be truly present. For me, I like to get outside in my lunch break and sit by the local river near my spa. I take time to focus on my breathing and tune in to the sounds of nature around me. This helps to keep me grounded, connected and truly present. Find out what motivates your staff – People are motivated by very different things. For some its money, a good financial reward or goal will keep them happily plodding along each day, working at their best. For others it could be recognition, or their own personal career development. Some may find motivation by being given responsibility or even having the opportunity to teach others. Don’t assume that everybody is motivated by the same things as you. Once you have discovered what motivates each and every member of your team, you can then set tasks, goals and rewards to keep everyone working towards something that is actually important to them. Always be kind and compassionate – This may sound like the obvious, but at times, some find that remaining calm and compassionate in challenging situations at work, can actually be very difficult. As a manager, you will no doubt sometimes come across staff who you may deem as being difficult or challenging. How many of us have seen those hot-headed type bosses, the ones that raise their voices a lot, and feel like there is nothing wrong in being openly irritated in certain people’s company? When ever you find yourself in a challenging situation, remind yourself you should be setting an example to other members of your team. Take a moment to step back from the situation and view it from all angles. Why does this staff member behave like he or she does? Is it a regular occurrence or fairly rare? How will your handling of the situation affect everyone else in the office? Easier said than done sometimes I know. But possessing the ability to always be calm, collected and compassionate, no matter what is thrown at you, is a great attribute to bring to the table. Don’t take the actions and wants of others too personally – When I first started out as a manager, this was something I found really hard not to do. I wanted everyone to be as passionate and enthusiastic as I was. I longed to create a working environment for my colleges that would help them want to achieve the best they could in the company, and help obtain the same motivation and drive that I had. Obviously, this would often leave me feeling frustrated and disappointed. The fact is a good manager has to be respectful of the fact that everyone is on a different journey and everyone has different goals, motivations and ambitions to where their life should be going. As a business owner, it can be difficult to see staff come and go, especially when you feel you have worked so hard to create something that you think is truly special and you believe to treat your staff well. But life is life, things and circumstances change, and what once suited your employee’s one day, may actually change the next. I always tell my staff the same thing, that they will be with me as long as we still both need to learn something from one another, and we can continue to grow from that knowledge and our relationship. And at the time someone decides they want to leave my spa, I will wholeheartedly respect and support their decision, because it is obviously the right decision for them and it is at that point, our mutual lesson has been learned. Be aware of your personal energy – Happy, enthusiastic and joyful leaders, in general, promote the same kind of feelings of happiness and joyousness to their staff. How hard is it to be grumpy and unmotivated by someone who can continually make you smile or even laugh? It’s in our nature to want to seek and experience happiness, it is a natural human desire. So every time you walk into your office or working environment, no matter what is going on in your personal life, try to exude the same positive, happy attitude you would love your staff to reflect back at you. Always make time to listen to your staff – Many of my staff have been with me for years and no matter how well I think I know them, I always schedule in personal one on one time throughout the year, to give them the opportunity to simply talk to me and for me to simply listen. It may be in my office, over coffee or lunch, or even in the pub (if they are lucky enough!). Letting your staff know you have time for them, and that you truly do care about their happiness within the work place, goes a long way. It’s simple, happy staff are more productive and more loyal staff. Give praise when praise is due – When my staff have done well, or have gone above and beyond the call of duty, I will always ensure it is acknowledged and let them know that I am grateful for it. It may be a simple thank you suffices, or a small gesture like a box of chocolates or bottle of wine shows an extra element of appreciation. We are now in an age, where too many people are working longer hours, with more responsibilities and are receiving very little thanks in return. The global recession has left many people fearful of losing their jobs, and it has most definitely increased the pressures that we have all experienced at some time in our working careers. It doesn’t take much to let your staff know you have taken on board how hard they are working, or that you have noticed that they have stayed late a few nights to get a job done. People need to know when their efforts have been noted, a heartfelt thank you can mean a lot to someone sometimes. 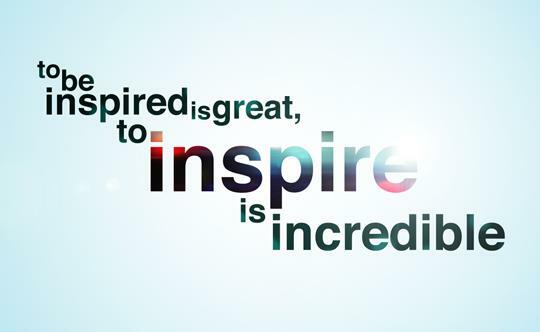 Be the inspiration – Great leaders inspire people. Be passionate, be ethical and be kind. Share your knowledge to the best of your ability and have a deep-rooted desire to help everyone that wants your help, to be the best they possibly can in life. A great leader teaches the pupil, with the hope that one day, that pupil will go out and far surpass everything he has been taught. Support, motivate, encourage and then sit back and with joy, watch them spread their wings. 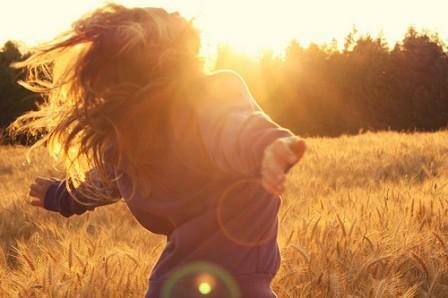 Happiness is something we all seek, an inner warmth that ignites from deep within our soul and radiates out around us. When we are happy, we see the world as a loving and vibrant place, but when we find ourselves in a space or cycle that brings feelings of discontent, the world suddenly becomes cold and cruel. The fact is we are soley in control of our own happiness, much of how we view our own inner peace and our role within this world is created within our own minds. I wrote a blog post last year ’11 Things To Give Up To Step Closer To Happiness’ which tackles this issue. But there are also many physical things we can do, which will help boost our mental happy juices. Start your day with positive thought – It’s very easy to lay there in bed, mentally grumbling away at the alarm, wishing you could just smuggle a few more moments under a warm cosy duvet. But occasionally, it’s really helpful to set the alarm just 10 minutes earlier than normal and take this time to really be present. Spend a few moments feeling your body waking up, take several deep cleansing breaths, stretch out your arms and legs, and listen to the sounds around you with deep concentration. Really see the daylight in all it’s beauty and mentally tell yourself, that you that you are going to have a really productive, meaningful and enjoyable day, making sure you radiate kindness and compassion to everyone you meet. Some times we have to physically take the time out to remind ourselves that our life is very precious, and no matter what is going on around us, we should be thankful that we have it. Pack your day with serotonin boosting foods – Without a shadow of a doubt our body can only function properly when we treat it with kindness. I see many clients in my spa who seek various healing treatments due to suffering conditions like depression and anxiety. One of the first questions I always ask them is about their diet. The foods we eat have a direct impact on how much energy and vitality we have. 90% of the happy hormone serotonin, is actually produced in the gut, not the brain as many people think. It is then chiefly metabolised by the liver. So in short, if we aren’t feeding our body with the kind of foods that support the production of this hugely important hormone, how can we expect to always feel balanced and content? Some of the best serotonin boosting foods are nuts and seeds, Omega 3 fatty acids, avocados, eggs, chickpeas, leafy green vegetables, bananas, apples, butternut squash, spelt, barley, brown rice and dark chocolate. Infuse mood boosting Essential Oils in your house or work place – I’m always burning essential oils in my home, office and treatment room. Smell is the strongest of the senses and is best able to influence brain activity. Olfactory bulbs are part of the limbic system and directly connect to the areas of the brain that process emotion and learning. Inhaling essential oils activates the hypothalamus, the area of the brain which sends messages to other parts of the body. The simple inhalation of certain oils can actually make changes in the body, including activating the immune system, affecting blood pressure and stimulating digestion. Some of the most effective mood boosting essential oils are lemon, lavender, jasmine, rosemary, cinnamon, grapefruit, ginger, bergamot and peppermint. Just place a few drops of your chosen oils in a oil burner and mix with some warm water, or if you don’t have one, just fill a bowl with some hot water and add the oils to that. Keep hydrated – I can’t stress enough how important it is to keep yourself hydrated. Our bodies are made up of anything from 60%-75% water, every muscle and cell needs fluids to function properly. Even the mildest of dehydration can make you feel lethargic and tired. A doctor once told me, if you feel thirsty your body is in fact already dehydrated. Try and sip filtered or fresh spring water throughout your day to help support your body’s need for it. Try drinking green tea – Green tea contains an amino acid called theanine that may affect secretion of serotonin and other neurotransmitters, including the calming neurotransmitter GABA and the activating neurotransmitters dopamine, epinephrine and norepinephrine. It also packed full of antioxidants, so is good for the skin too. Try adding some mood enhancing crystals to your home – Obviously as an energy worker I am open to the positive effects that crystals can have in our homes and offices. Crystals have an energetic vibration, just as we do, and incorporating that vibration into our living or work space, can often bring us benefits. I always have points of Rose Quartz ( Rose Quartz has high energy, but its vibration is also calming and soothing. It opens the heart to compassion for self and for others. Rose Quartz also helps balance the emotions, lowering stress and bringing peace), Moonstone (soothes, relieve stress and banishes negativity), Amethyst (heals negativity in the home) and Green Adventurine (a stone of luck, abundance, and positive energy) in various rooms in my house. I am also a huge lover of Clear Quartz, which is deemed as the master healer of crystals. Try listening to some music to help balance the Chakra’s – According to ancient Tantric and yogic tradtions, Chakra’s (Sanskrit) are seven energy centres that serve as junction points between the physical body and consciousness. These energy centres help receive, process and express our vital Chi/Ki/life force energy and enable it to flow freely through the physical and spiritual body. When any one of these Chakras become blocked due to stress, emotions or our life experiences, we may develop physical complaints or illnesses, or we may find ourselves feeling emotionally unbalanced and out of sorts. In certain traditions each Chakra also has a corresponding mantra and sound vibration. There are many different ways to help support these vital energy centres, but one simple way is to listen to some music which resonates with the sound vibration of each centre. One of my favourite pieces of music to do this is by the renowned international spiritual tutor Deepak Chopra. This CD is uber relaxing, easy to listen to and at the end of the CD Deepak explains a little bit about each Chakra and how they correspond with how we interact with the world around us, both on a physical and emotional level. Walk in bare feet or lay on the grass – recently I have been reading about the scientific studies around ‘Earthing’. Earthing is the practice of connecting the body with earth by touching skin to a conductive material such as grass (preferably wet), wet sand, a river, lake or sea. Apparently when we haven’t directly connected to the earths natural electrical vibration for a period of time, our bodies carry a positive voltage in relation to the earth, which makes it harder for our bodies to tackle free radical damage. Free radicals are unstable oxygen molecules within the body, which lack electrons (energy sparks), although our bodies do need free radicals, too many of them can cause disease and are also known to accelerate the ageing process. So if the human body has a positive charge on it, reconnecting to the earth allows the earths electrons to flow into our system, and in theory, they can neutralise overblown free radical and inflammatory damage. So not only is connecting with nature exceptionally relaxing, which in turn boosts the feelings of well being, there are now scientific studies to support the fact that connecting with our planet, also helps fight disease. An English medical Doctor by the name of Dr Biffa has written a very honest piece about Earthing and the studies surrounding it. Mindful tips on dealing with bullying at work.